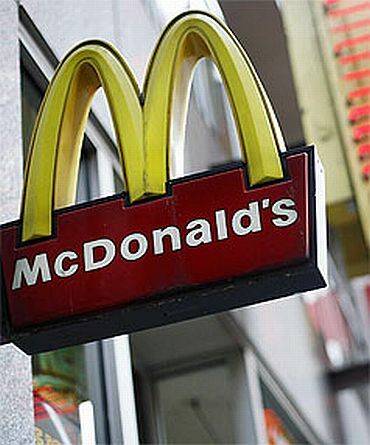 China has slapped a record $630,000 fine on a french fry supplier to the US-based fast food giant McDonald's for causing water pollution in Beijing, state-media reported on Thursday. The 3.9 million yuan ($630,000) fine levied against Beijing Simplot Food Processing is the biggest-ever meted out by Beijing for pollution, state-run Xinhua news agency said. Beijing Simplot, established in 1992 in Fengtai District, is a joint venture between US agribusiness giant J R Simplot Company, McDonald's and the Beijing Agricultural, Industrial and Commerce General Company, it said. It primarily produces french fries and hash browns for McDonald's and other East Asian customers. In November last year, officials found the chemical oxygen demand in wastewater discharged by the firm was 563 mg per litre, exceeding the limit of 500 mg per litre, Xinhua said, adding, the company's sewage pipes were immediately blocked. The pollution occurred as Beijing Simplot was upgrading its sewage treatment facilities. The polluted water flowed into urban pipe networks, according to the Fengtai District Environmental Protection Bureau. The fine was decided after a hearing in March. The penalty came as the communist giant cracks down on air, water and soil pollution amid rising public anger over health concerns. A new environmental law which was first in 25 years went into force in January, bringing in tougher measures against polluters and lifted the caps on pollution fines. Beijing has sharply increased fees levied on the discharge of major air and water pollutants. Zhong Chonglei, an official with Beijing Municipal Environmental Protection Bureau, said heavy polluters in Beijing would see both their pollution fees and fines multiplied by as much as by 15 times. "The discharge costs for polluting companies are catching up with the cleaning costs. It will exert greater economic leverage in the city's industrial restructuring," Zhong said. Beijing Simplot, in a statement posted on its website, said it accepted the decision and paid the fine on schedule after having immediately cooperated with authorities after the problem was discovered.